Over the course of the past few decades, Indian badminton has seen a range of Singles players. come through to the junior system and give a glimpse of their talent on the world stage in various elite competitions. One among those coming through the junior ranks who could join the rest of the pack in the future would Siril Verma. That year Siril also gave a glimpse of the kind of metal he was made of, when at the All India Junior Badminton tournament in Kochi, he played a total of 10 matches in three straight days and was admitted in the hospital because of complete exhaustion, but heroically returned to compete in the final and also won the title, beating Lakshya Sen in the final. While he didn’t create the same sort of buzz in 2014, he more than made up for it the following year in 2015. The senior contingent and in particular, Saina Nehwal, had provided much joy for the supporters of Indian badminton, entering the final of both the All England Championships as well as the World Championships and climbing to the top of the World rankings. Towards the end of that year, it was Verma’s turn to provide a similar moment from the junior scene as reached the finals of the World Junior Championships, held in Peru, losing a closely fought contest to Chia-Hung Lu of Chinese Taipei. Despite the loss,however, the youngster had given enough indications of the potential he possessed, progressing his way through several other promising youngsters on show, to reach the final two stage of the competition. Those exploits had a positive impact as far as the rankings were concerned as well as towards the end of 2015, Varma climbed to pole position in the World Junior rankings that were released at the end of that year. The youngster found praise coming his way for his exploits from both players and coaches.Kidambi Srikanth, another product of the Pullela Gopichand academy, appreciated the lad’s performance and added that he would only grow as a player in the presence of other seniors in the academy. “He has been playing really well. He is there at the Gopichand academy. We see him everyday. It's nice that he gets to play with all the senior players. It's a good thing for any junior player to get to play with India’s top players. 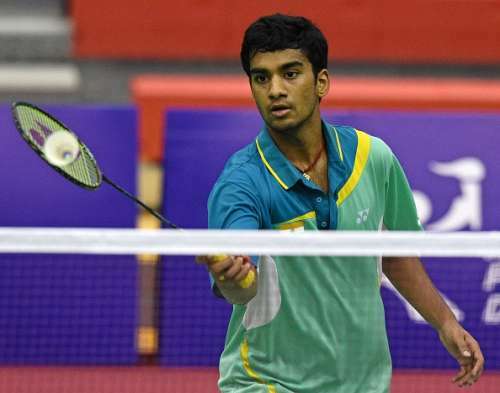 He is playing well and he’ll definitely be there in the senior circuit one day,” Srikanth told Sportskeeda. Verma also had an opportunity to rub shoulders with some of the best players in the world at the Premier Badminton League, where he was part of the Hyderabad Hunters squad and impressed one and all with his play, albeit in a loss, against RMV Gurusaidutt. In 2016, thus far, Verma has featured in 3 events and in the coming years, if he can remain fit, train hard and most of all keep a still hard, then he can surely be someone on whom the Indian badminton fraternity can pin their hopes on.